Oliver Blanchard is a prominent French economist, best known for serving as the chief economist at the International Monetary Fund, and is considered to be one of the most frequently cited economists globally. Blanchard was born on 27th December, 1948, in Amiens, France. He first obtained his Bachelors from the Paris Dauphine University, after which he proceeded with pursuing his Ph.D. from the Massachusetts Institute of Technology. After completing his Ph.D. in 1977 in the field of economics, Blanchard tried his luck in the teaching profession. He was recruited initially by Harvard University, where he taught between the years 1977 and 1983, moving back to MIT as a professor later. His second stint at MIT saw him assume the post of Chairman of Economics Department, while he also holds the title of the Robert M. Solow Professor of Economics. Blanchard’s academic works are perhaps best illustrated in the field of Macroeconomics. He has devoted a lot of time and effort towards writing in depth research papers discussing key macroeconomic factors and issues. Some of these topics include the dynamics of the labor market, factors which cause unemployment, the significance of monetary policy to national economies, speculative bubbles and their tendencies, as well as the changing institutions and structures in countries which previously experienced communist regimes. Blanchard’s expertise in the field has allowed him the opportunity to work with other nations and international organizations in a collaborative capacity. Blanchard’s comprehensive knowledge has seen him publish two textbooks as well, one each at undergraduate and graduate level. Both of these books were related to the domain of macroeconomics, one of which he wrote with renowned economist Stanley Fischer. Balnchard’s writing exploits include 15 books in totals, ‘Monitoring the European Central Bank’ being amongst his more famous ones, along with other articles. He worked in collaboration with Nobuhiro Kiyotaki in 1987 to understand the importance of monopolistic competition and its contribution to the ‘multiplier effect’. Monopolistic competition has since become integral for New Keynesian economists in explaining their theories and models. Blanchard is also a member of the Editorial Board for the Economics of Transition, and the Associate Editor of the German Economic Review. His achievements in the realm of journalism don’t end here, as he is also on the Advisory Board of the Portuguese Economic Journal, and works for the Journal of Economic Perspectives as Associate Editor. Blanchard currently holds the esteemed position of Economic Counselor and Director of Research at the International Monetary Fund. He also serves on the academic board of McKinsey Global Institute, through which he has managed to conduct studies regarding economic issues in countries such as Russia, Turkey, Germany, Portugal, France and Poland. Blanchard’s research also extend to the National Bureau of Economic Research where he works as a Research Associate. He has received considerable financial assistance from the National Science Foundation over the years for his research, most notably for devising a Macroeconomic Framework for the European region, a project he worked on with his fellow colleagues Alberto Alesina, Francesco Giavazzi, and Harald Uhlig. 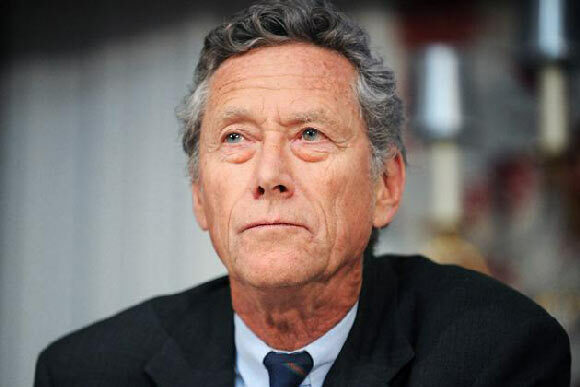 Olivier Blanchard’s distinguished career has seen him work for prominent institutions such as the Federal Reserve banks of both New York and Boston, where he performed his duties as an advisor. He has also remained President of the American Economic Association, as well as a fellow and member of the Econometric Society and the American Academy of Arts respectively.